This comprehensive guide to payroll services for the beauty industry is designed to help owners of barbershops, nail studios, hair salons, spas and massage parlors understand the ins-and-outs of payroll​ requirements. Additionally, you can also turn to this guide for insights on setting up payroll services for small businesses for the first time, applying for necessary agency account numbers and selecting the right payroll service for your business. Do I need Payroll for my Barbershop or Salon? Most beauty business owners aren’t exactly clear on how to answer this question. So, they have traditionally operated their businesses and paid their workers as independent contractors. Are beauty industry workers employees or independent contractors? In most cases, the difference between an independent contractor and an employee is clear. Right? Unfortunately, the answer may not be so obvious. Dive into this article for an in-depth analysis. An employee, as defined by law, is someone who typically works for one employer and whose work, hours, conduct and benefits are under the control of that employer. Contractors, on the other hand, differ significantly. A contractor is defined as someone who typically offer services to multiple clients and who is in control of when and how they complete the work they’ve been asked to take on. A contractor also provides his own tools to perform his work. But what about those who work for a hair salon, nail salon, spa or barbershop? You might be wondering, do those workers classify as employees or contractors? And if you are, you aren’t alone. Many employers are starting to question whether or not to invest in payroll services for the beauty industry. The issue is one that has created quite a stir in states around the nation. Multiple states along with the IRS are now cracking down on salons, barbershops, and even spas for miss-classifying staff. Beauty parlors do not have a uniformed business structure. Many follow a business model where the hair stylist or tech actually leases a station inside the salon for a flat cash fee. Others are based on a cash only structure where stylists are paid purely on commission and are offered no salary or hourly wages. Still, others choose a commission-salary combination that pays stylists for a percentage of their services as well as an hourly wage. And these payments are mostly made in cash at the end of the day. But the days of different barbershop commissions and hair salon commission agreements may be over. But don’t panic. Keep reading to find out why payroll services for the beauty industry can put you in the clear. In Temecula, CA, a local nail salon now faces more than $1.2 million in back taxes and fines for missclassifying workers as independent contractors instead of employees. According to an article published by the Press Enterprise, the California Department of Industrial Relations stated that the salon failed to pay employees for hourly rates and overtime and instead chose to pay them per service. The department’s reasoning was that the nail salon techs were missclassified. The salon, as the decision suggests, should have been providing payroll services for the beauty industry to their employees. The fines were assigned to the salon just months after the California Supreme Court released a decision regarding independent contractors throughout the state. The laborer determines how and when the work is completed and is free of any controls or direction the hirer would typically implement in regards to the performance of the work. The worker performs the work outside the typical course of the hiring entity’s business. And finally, the hired worker is engaged in an independently established business or service of the same nature of the work performed. But when it comes to working in a salon or barbershop, the above conditions don't alway apply. The decision suggests that payroll services for barbershops and beauty salons will now become a must. Now, barbers, salon and spa workers must be treated as employees and paid via payroll instead of cash. Additionally, other burdens are now being placed on the employer. Many salons that followed the leased-booth structure, or similar business structure, are now tasked with withholding employee taxes and matching the mandatory employer taxes, including social security, Medicare, FUTA, and state unemployment taxes. Salons, barbershops and spas now have to adjust to being reclassified as employers in the traditional sense. Thus the burden of certain taxes no longer fall solely on the worker but the salon as well. Employers are tasked with numerous payroll taxes responsibilities including withholding taxes, making the tax payments and filing quarterly and annual taxes as well as W-2 forms. In fact, taxes are going to be a really important part of any payroll services for the beauty industry. Keep this in mind as you begin to search for a payroll provider. Here’s a brief overview of taxes that both employees and employers are responsible to pay. This information might be useful to employers outside the beauty industry looking into payroll services for small businesses. Federal Income Tax (FIT): Federal Income Taxes are taxes that are taken out of employee earnings by the IRS. Employees typically elect their exemptions when they complete a W-4. Then, based off their tax bracket, a specified percentage is deducted from their check. Social Security: This is the tax levied at the rate of 6.2 percent on employees as a contribution to the social security program. This program pays for retirement, disability and survivorship benefits at old age. Certain individuals also qualify for these benefits at a much younger age depending on the situation, primarily disability. Medicare: This tax funds the federal government’s Medicare program. It provides subsidized health care and hospital insurance benefits to retirees and those who are disabled, whether young or old. The rate is 1.45 percent. State Income Tax (SIT): Similar to FIT, state income taxes are taken out of an employee’s check at a state level. Social Security: Just like the employee, the employer must match social security contribution at the same rate of 6.2 percent. Medicare: Similarly as above, employers must also contribute to the Medicare program at the same rate of 1.45 percent as the employee. State Unemployment Tax (SUTA): Similar to its federal counterpart, SUTA is also paid by the employer at the state level. It offers a type of unemployment insurance to workers who have lost their jobs. Contribution rates differ from state to state. Furthermore, the rates vary depending on how many former employees have claimed unemployment benefits. NOTE: Social Security and Medicare taxes are commonly referred to as FICA (Federal Insurance Contributions Act). As the name implies, these taxes were established for the sole purpose of providing a form of insurance to US workers, through Congressional law. These benefits are administered by the federal government. California beauty salon and parlor owners may now feel like they’re faced with a dilemma. Salons, barbershops, and spas that have operated using the cash-only models previously discussed will likely have to restructure and align with traditional business models. Since hair stylists and nail techs can no longer be classified as contractors, many businesses may have to change their mode of operation. And that means that these businesses will have to incorporate payroll as their main mode of paying employees. Additionally, payroll for massage parlors and spas will also become a must. But don’t worry! You have some options ahead of you as you decide how best to reorganize your business. Firstly, if you haven’t already, you’ll want to start by determining if your business will operate as a sole proprietorship or a corporation. In simplistic terms, a sole proprietorship is a business that is not considered a separate entity from its owner. Or in other words, the business is not its own legal entity. Instead, the owner assumes responsibility for the business, including its losses and debt. Additionally, any income or losses incurred throughout the year are listed on the owner’s personal income tax return. A corporation, on the other hand, is considered a separate legal entity. Corporations are comprised of a group of key decision makers (known as the Board of Directors) that implement the structure and shape of the business. In addition, corporations enjoy most of the same legal rights as an individual. So which is better? A sole proprietorship? Or a Corporation? The right answer will vary based on the size and scope of your business, as well as how comfortable you are taking on personal responsibility for liability. Losses include any damages you have to pay as the result of a lawsuit. Conversely, lawsuits against service providers in the beauty industry are rare. So it makes sense that the flexibility a sole proprietorship offers is attractive, especially if the odds of being on the receiving end of a lawsuit are relatively low. But there are also benefits to filing as a corporation, the biggest being that no shareholder or partner is personally responsible for the company’s debts. Yet, there are a few downsides as well. Some states impose local taxes on these corporations. For example, California taxes corporations at an 8.84 % tax rate. The minimum tax amount is $800.00. Find out more about state corporation taxes. So when you’re deciding how to classify your business, it’s best to consult with your CPA or accountant. A CPA or licensed accountant can help you better understand your options as they relate to your business. They can even help you select the right classification that best suits your beauty salon, barbershop, parlor or spa. Now, you’ve decided what kind of business model you’ll operate your salon, barbershop, parlor or spa. It's time to move on to the next step. Generally, all businesses need an Employer Identification Number. This number helps identify a business entity. This is an important number to have when it comes to payroll services for the beauty industry. Even if you decide to operate your business as a sole proprietorship, you must apply for a Federal Employer ID Number. This number is commonly referred to as FEIN, or EIN, or simply Employer ID. Uncertain about where to begin? A business that is located here in the United States. A valid Taxpayer ID Number, which can be your social security number (SSN), Individual Tax ID number (ITIN), or an Employer ID Number (EIN) if the responsible party is a corporation. Luckily, the process to file for an EIN is very straightforward and can be completed within 15 minutes. The online application portal is only available during weekdays from 7.00 am to 10.00 pm EST (4.00 am to 7.00 pm PST). When you are ready to start the application process, this link (Apply Online Now) will connect you to the online application portal. In most cases, EINs are issued immediately. Each state has its unique process of applying for the employer identification number. Some states require two separate ID numbers — one to report withholding (income) tax and anonter for unemployment taxes. Have two separate departments - one for the income tax withholding administration and another for unemployment tax and benefits. Require separate tax returns - one to report and reconcile income tax withholding and the second to report and reconcile unemployment contributions (employer tax). States like California have a more unified system for handling both employee and employer taxes. Additionally, California, and a few other states, require only one ID number to serve both purposes. All the tax payments and quarterly tax filings are handled by the same agency and on the same online portal. But always check with your state for any other specific requirements. 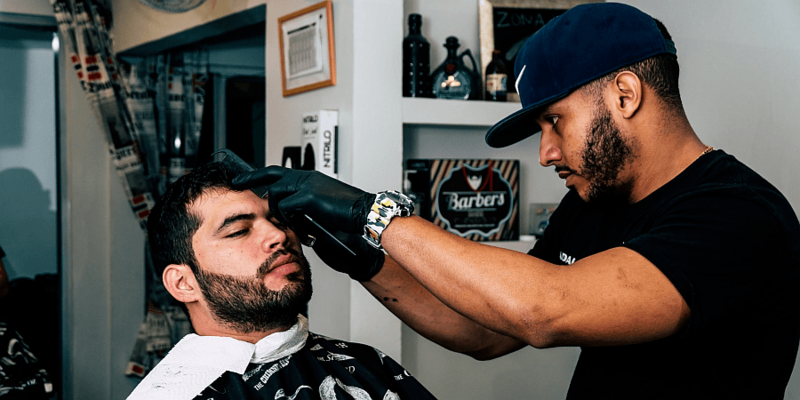 If you’re an employer of one or more individuals in California, this is a step you don’t want to overlook — whether you're looking into payroll for barbershops and salons or payroll services for small businesses. All california employers are required to register for an EDD number. An EDD number is essentially your identification number with the state’s Employment Development Department (EDD). This is a critical step when it comes to providing payroll for spas and massage parlors as well as other areas in the industry. Because once you register with the EDD, you will be issued an eight-digit employer payroll tax account number. Like applying for an EIN, the process to obtain an EDD number is straightforward. However, be aware that a lot more information is required in this process. This is also a key step for first-time employers looking to set up payroll services for small businesses. Before you get started, make sure you have your Driver’s License and Social Security number. When ready, go the eServices of the EDD’s website to apply for your number. Firstly, you have to enroll in eServices ( the access to the portal) as an employer by establishing a username and password. The EDD has an easy to follow YouTube guide on how to do this. Once logged in to the EDD portal, go to “Register a New Account (DE1)” to apply for your EDD number. Of course, if you need assistance in this process, don't hesitate to reach out to AccuPay for guidance. NOTE: New employers in California start out with a 3.4 percent unemployment insurance rate. Without any unemployment benefits claims, this rate will remain the same for a period of time before beginning to decline. Conversely, the opposite happens if claims occurr. But luckily, the rate is capped at 6.2 percent. Now that you’ve obtained both your EIN and EDD number, it’s time to get serious about finding a payroll provider. But before you begin looking for payroll for barbershops and salons, you might want to identify how you plan to pay employees. More importantly, you don't want to overlook these points if you're starting payroll services for a small business. For example, how much are you willing to pay for the work done? How will you pay workers — by salary, hourly wages, or a combination of salary or hourly wages plus commission? These are just some of the questions you’ll need to consider answering. Take a look at the list below to help you develop a more comprehensive plan. Firstly, you need to know how much your employees will get paid. Also, another facet of this is determing how they will get paid. Decide your salaries, hourly wages, commissions, and bonuses: You might have to have “the talk” with your workers. And you may have to discuss a few somewhat difficult but necessary changes to how they are compensated. From there, decide how you are going to pay your workers. Compensation can be in the form of hourly wages, commissions, bonuses or any combination of these. If your business is an S-Corp, the owners are required to receive a salary of some sort, and not just a draw. Workers who provide a service could be paid by hour, by commission (or both) and by way of bonuses. Consider paying commissions on product sales to match industry trends. However, if you’re still not sure which compensation methods will fit your business, consider taking a deeper look into how other salon owners run their business. The beauty blog, "This Ugly Beauty Business" published a comprehensive article that discusses the benefits and downsides of each mode of compensation specifically when it comes to salon workers. In addition, you may also want to take note of this article when considering payroll for spas and massage parlors as well. Use caution when you classify your workers. Don’t fall in the trap of misclassifying your employees to independent contractors. The penalties are simply not worth the risk (remember the nail salon that’s having to pay $1.2 million in fines). Finally, the last step is identifying how often you plan on paying employees. Weekly payroll works out very well for this industry. Moreover, odds are your workers are already used to the convenience of being paid in cash. Converting to a payroll system can throw some of that financial flow off balance. But a weekly frequency can provide a happy medium. Bi-weekly payroll is very convenient and popular with many employers. It allows the employer the freedom to think about payroll every other week instead of every week. Semi-monthly frequency is an ok method, but not ideal. It’s hard to deal with pay dates falling on weekends. Furthermore, holidays add more complexity to this frequency. Monthly payroll frequency only really works out for those who have other sources of income, or can simply draw from their business. As a result, this option works out for business owners themselves but not so much for employees. The cost of processing payroll may vary with the different pay frequencies outlined above. If you would like to check how much it could cost you, check out our online pricing tool. Now that you’re all set up as an employer, it’s time to start processing payroll. But, wait. Do you have an in-house accounting or payroll department? As a salon or barbershop, odds are you don’t. And that’s perfectly fine. Just because you’re now required to pay workers via payroll doesn’t mean you have to spend additional money, time and resources to hire someone to fill that role. In fact, outsourcing payroll for spas and massage parlors, like payroll for beauty salons and barbershops, can actually save you money. Unfortuantely, for many, the topic of outsourcing payrolll services for small businesses can be a touchy subject. How do I know if said payroll company will actually deliver on time? Am I getting a good rate? What services am I actually paying for? Is this a quality business I can trust? If you find yourself asking any of the above questions, you’re not alone. It’s normal to feel anxious about hiring a service provider to take over any aspect of your business. It can even be harder to think about when it comes to the livelihood of your employees. And if you’ve been adhering to popular cash-only payment business models in the styling industry, these changes can be especially nerve-wracking. The good news, however, is that there are quality payroll providers out there who offer exceptional services at reasonable price. All it takes is a little research. We welcome you to include AccuPay in your research and compare us with the other providers. Curious to know how AccuPay can help with your payroll needs? You can find out more information on pricing here. So if you’re not sure on where to begin in your effort to select the right service provider when it comes payroll for barbershops and salons, use the checklists below to help you assess the service. Start by taking a look at what fees are assigned to each service a payroll provider offers. 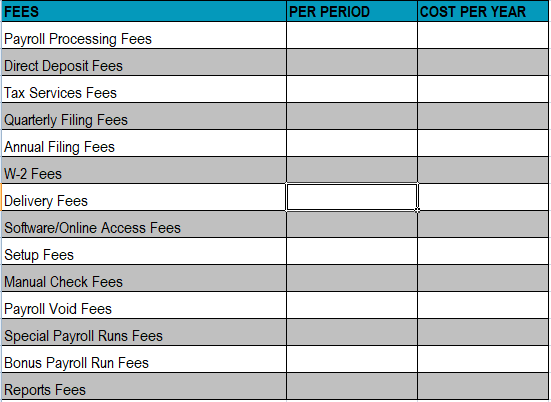 Also, make sure you get an overall look at how much those fees will cost you per pay period as well as annually. What is included in the service? Be sure your payroll provider does not nickel and dime. Get a list of all the services performed by the provider. Also, ask what you as the business owner are responsible for. 10 plus years in business is a good sign. Remember, you want a provider that’s considered an expert when it comes to payroll services for barbershops and salons. Anything less than 10 years means the payroll provider hasn’t been around long enough to prove their quality of service. Do I have access to help? Don’t depend on online help only. Make sure you can speak with a live human being during business hours. How many people can potentially help us? Single person practitioners are not recommended. What happens if they are sick? Conversely, huge companies lack personability and make it impossible to speak with the same person twice. Web-based systems give you flexibility. Also, you want access to your data at all times. What is the turnaround for setup? A day or two is reasonable. Anything beyond this scope should raise questions. Do you print and ship my W-2s? If NO, be wary of the provider. If YES, how much? Get this info in writing. Are setup forms paper-based on online? Online forms make it easier to work with the payroll service provider. Not a deal breaker, but you might want to steer clear of companies that are not tech-savvy. Do you discount your service for a period of time? Avoid services that show you discounted services. Their fees are bound to go up at some point. Without one-on-one training, you will have lots to figure out on your own. And lots of mistakes and frustrations to endure. Money back guarantees (in writing) show confidence that you will like the service. If not, look elsewhere. Can you do next day direct deposit? If yes, this provider cares to make your business a priority. Who will run (transmit) payroll? Flexibility is a must. You should have the option to process your own payroll or to rely on the provider’s help as needed. Do you provide online access to my account? If no, be wary. You should be able to view and run your reports at any time. Do you have a contract (1 year etc)? If yes, run away. You should have the freedom to cancel your service at any time. Are the costs and fees published online? Companies that don't disclose their fees might have a tendency to sneak in fees when you least expect it. Online reports are convenient, and should NOT cost extra. If there is a cost involved, even for shipping, think twice. Do extra reports cost money? If so, this provider may have a tendency to hold back support from you, or prioritize others over you. Do you have online reviews I can examine? Good services should have a good online reputation to back the quality of their product and service. Ideally, you want a payroll provider you can stick with for a long time. Just because you may now be required to pay employees via payroll does not mean it has to become a full time job on top of your business. Payroll for spas and massage parlors, as well as barbershops and beauty salons can and should be hassle-free. All you have to do is ask the right questions and stay in the loop about policy changes when it comes to payroll services for small businesses. Check out our blog, where you can find a wealth of information regarding your business and payroll needs. And don’t forget to share!